Zeiss Zeiss has introduced its first premium lens designed specifically for high-end, high-resolution DSLRs, the Zeiss Otus 55mm f/1.4. Zeiss has decades of experience designing lenses for both 35mm and medium-format cameras, and with the Otus, they've pulled out all the f/Stops. First, a bit of background: Over the last 10 years, most medium-format film camera users who migrated to digital adapted the 35mm sensor format. As the resolution of these cameras has increased, many lenses simply haven't kept up. High resolution revealed that edge sharpness was not as crisp as the center, and image quality changed based on the aperture used. Zeiss set about to create a new line of lenses that take full advantage of high-resolution DSLRs, with no design restrictions based on weight or size, using the best possible material. The result would be a line of premium-priced lenses capable of delivering the best possible images with little or no optical distortion. 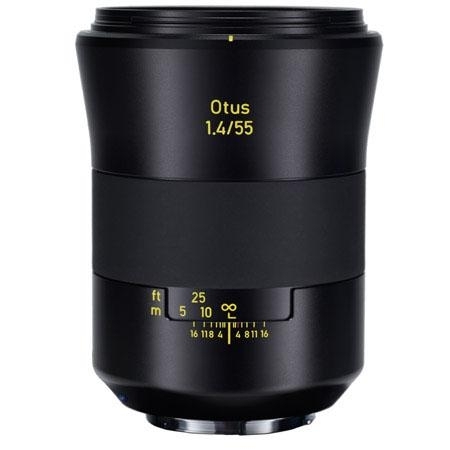 The Otus line was born, and the 55mm f/1.4 is the first product. The Zeiss Otus uses the APO Distagon design, which is a more complex design using more elements and Apochromatic design for sharper and contrastier images with fewer chromatic aberrations. 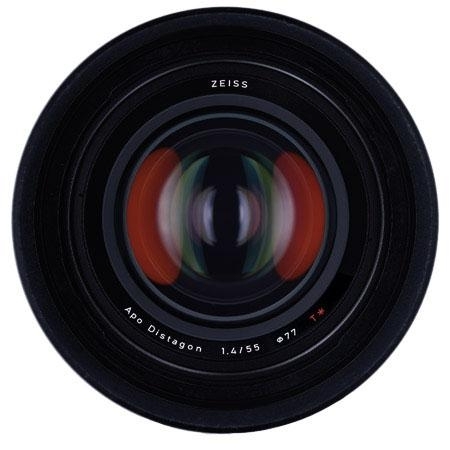 Lower-end lenses have the Planar designation. Zeiss makes the bold claim, based on its internal MTF optical bench tests results, that the Otus 55mm f/1.4 is the best standard lens ever made by Zeiss and is the best standard lens currently available. Let's take a closer look at these claims. 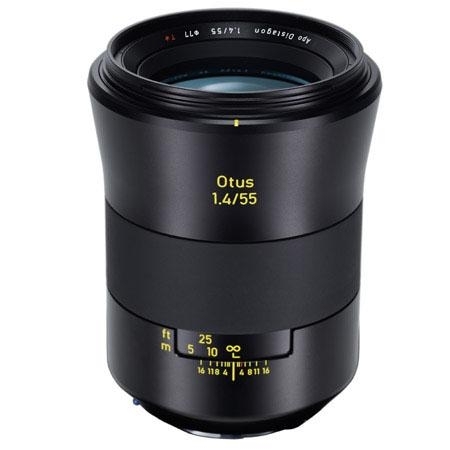 First, while most lens image quality varies based on the chosen aperture, the Zeiss Otus 55mm f/1.4 is said to offer the same high quality and maximum sharpness and contrast at f/1.4 as it does at f/5.6 or f/8. So, this lens can be used wide open and still show maximu image quality. 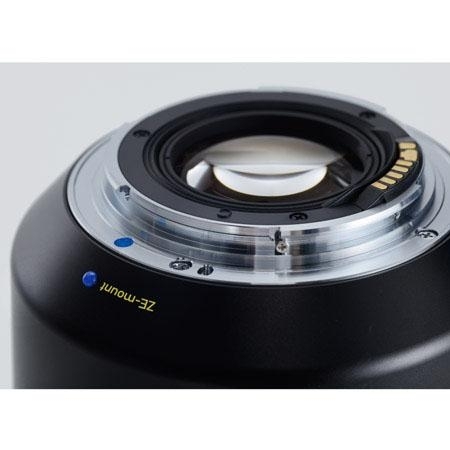 The lens has 12 elements in 10 groups, with a modern floating element design and T* Anti-reflex multi-layer coating. Overall, Zeiss says the lens's performance is comparable to medium format lenses. The lens barrel is made of high-quality metal alloy and has a rubber focus ring (the lens is manual focus only) that rotates 248 degrees-that's a good amount of rotation that will make a difference when focusing at maximum aperture where depth of field is super shallow. There's a 9-blade iris and Zeiss says it produces pleasing, "organic" bokeh. The lens accomodates 77mm filters. 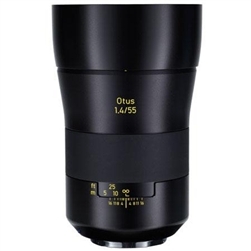 The Otus 55mm f/1.4 is a pro tool that Zeiss believes will be embraced by studio, wedding, commercial and even architecture photographers.